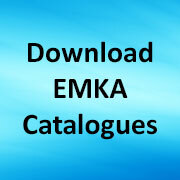 EMKA have two approaches to access locking and monitoring for cabinets, server rooms, control suites etc. One is the hardwired Electronic Lock Modular system – ELM – ideal for security with environmental monitoring, e.g. temperature, climatic variables, smoke, acceleration/tilt, mains observation, mains switch, read switch and gsm internet (SNMP) access, all in addition to the primary cabinet locking hardware and access software. This makes EMKA’s ELM ideal for situations such as colocation data centre processing areas in the financial services sector, where its ability to connect to central systems and offer flexible zoned configuration makes it a clear choice. Typically the system may be configured to identify row/rack number and all the door solenoids and switches identified on the system which can be set up to allow remote access for multiple system administrators from different individual sites. The system can then log all visits and enable remote access, so that it is easy to remotely read new users onto the system from the comfort of the main office which could easily be on the other side of the city. A new user simply calls the administrator who then logs into the system to activate “read new card” and activates this ID card. This new development line by EMKA offers great benefits in terms of security, access recording, speed of installation and retro-fit. The new Agent E radio-controlled swinghandle program does not need hard wiring and may be installed on individual cabinets or large applications with many suites of cabinets. The EMKA Agent-E Manager remote software offers the possibility of wireless data transfer via an integral radio module whereby data can be transferred to a control station and/or master office. This enables the release of handles to be actioned remotely as well as control event logging. In a retro-fit application for example it is a simple matter to replace the existing mechanical lock with an electronic swinghandle with no wiring necessary. This is possible because of the low consumption technology which allows two AAA batteries to last approximately 3 to 4 years in normal use. Share the post "ELECTRONIC ACCESS LOCKING AND MONITORING"